Microsoft has finally managed to buy the Office.com domain – as it continues to move towards the release of its next version of the Office software suite. Although many will be surprised that Microsoft did not already own the Office.com domain, it was in fact owned by a Belgian firm called ContactOffice. However, Ars Technica has discovered that Microsoft has now snapped up the domain for an undisclosed fee – probably to use it for the increasingly cloud focused consumer offering of Office. "At this point it's too early to share details on our plans around www.office.com," a Microsoft spokesperson told Ars, when questioned about the domain's future use. Office remains Microsoft's most profitable software, with programs like Excel, PowerPoint and Word used in homes and offices across the globe. However, with the likes of Google Docs and OpenOffice improving rapidly and people becoming more au fait with hosted applications, Microsoft is keen for its suite of software to evolve. 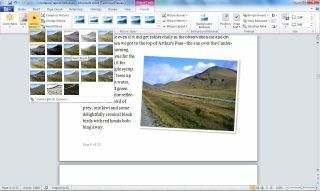 Early review code of Office 2010, which as you may expect arrives next year, did not include the web apps, but Office.com could potentially host the mooted free online versions.